Trinity College offers tennis for all year levels from Early Years to Year 12. 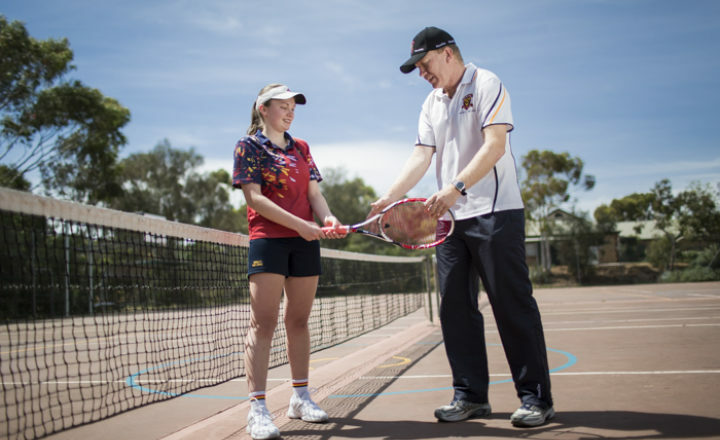 During summer students can choose to play in either the Gawler & Districts Tennis Association competition (depending on ability) or North East Tennis Association (NETA) competitions or NETA competitions during winter. Younger players beginning competitive tennis start in the modified match format, with Orange Ball, then progress on to Green Ball. Once established, players then move on to full match conditions using regular Yellow Balls. Younger and less experienced students (usually Early Years to Year 4 students) can participate in HotShots Beginners Tennis. There is an option for these students to also play in a regular HotShots competition. 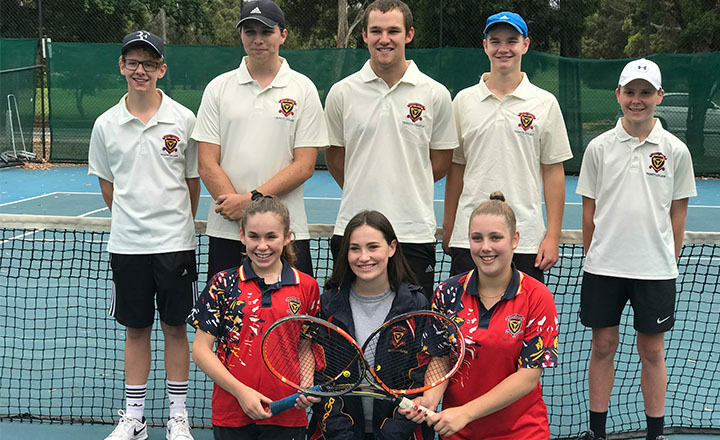 For our most advanced players, the Drive Tennis Squad play at Memorial Drive against other Adelaide schools on Saturday mornings. Selected students are invited to trial for the Drive Tennis Squad prior to the season commencing.